Home news Nigerian Army Finds Buhari’s Missing Certificate!! 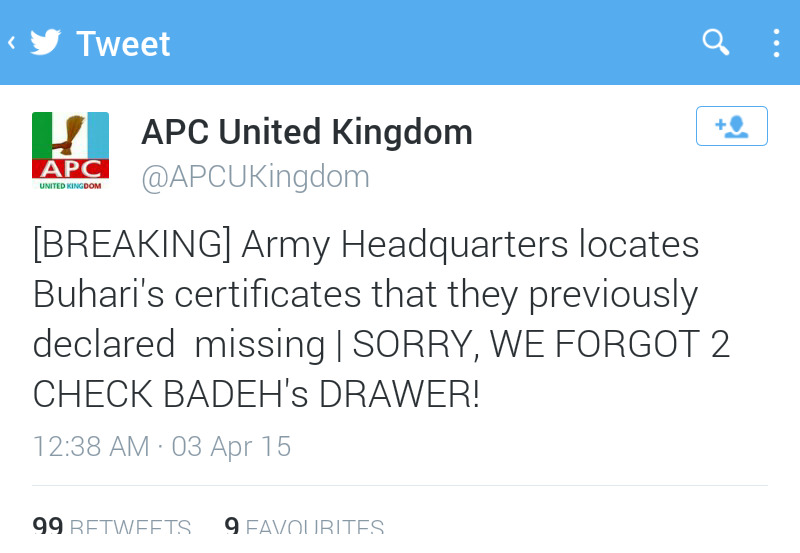 Nigerian Army Finds Buhari’s Missing Certificate!! The Nigerian Army may have reportedly found Gen. Muhammadu Buhari’s Secondary School leaving certificate, according to Senator Tokunbo Afikuyomi, a former Honourable Commissioner for Lagos State Ministry for Tourism & Inter-Governmental Relations. 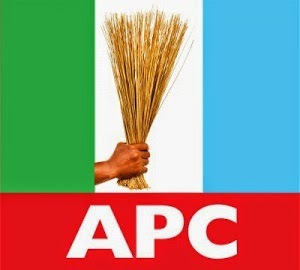 The APC UK also confirmed on it’s Twitter page. This is coming a few days after the President-elect won the presidential election. It would be recalled that prior to the presidential polls, the whereabouts of the certificate had caused a lot of uproar across the nation, which almost got him disqualified. Buhari had said his certificate is with the military board, but the Army headquarters denied the claim. Matters Arising “Someone working for the PDP obviously removed the certificate from his file at the Defence Headquarters. This is part of the strategies the PDP deployed in their campaign of calumny. All Change Agents who worked tirelessly to repel the Jonahideens should pop something wherever you are. We know it was foolhardy to say that Buhari had no certificate. But try as we did to convince them that this was a non issue, they refused to shift ground. It was even most disgraceful that the Director General of the PDP Presidential Campaign organisation was a Retired Colonel, in the person of Ahmadu Ali. He should have cautioned them about bringing the Military to disrepute. He did not. This singular act as far as I am concerned did more damage than good to the PDP. 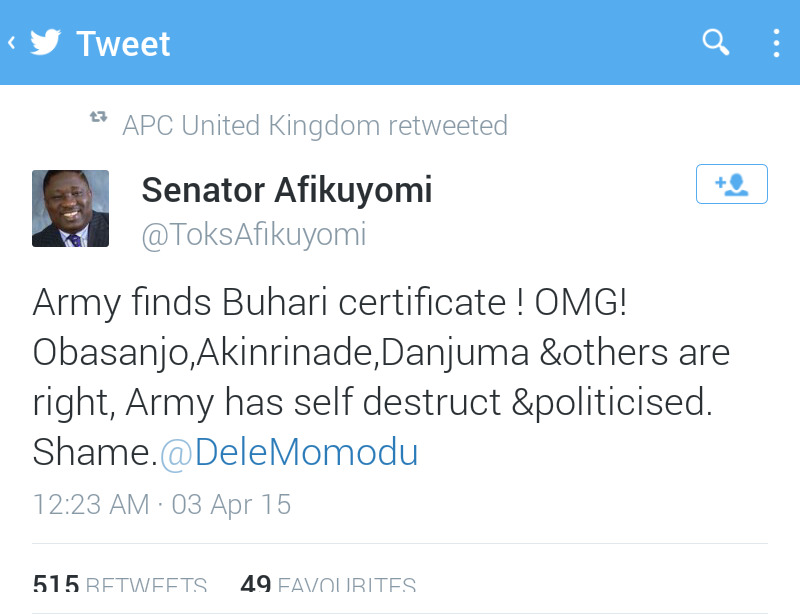 Beyond bringing out Buhari’s certificate, there is an urgent need to restore pride and sanity to themilitary. As it stands now, the Nigerian Army, is an Army of anything goes! There have to be a clean sweep and overhaul of the military from top to bottom! The entire top echelon at the Defence Headquarters should turn in their resignation and leave with President Goodluck Jonathan on the 29th of May, so that the process of rebuilding and restoration shall begin in earnest.